Plastic Drinking Trough. 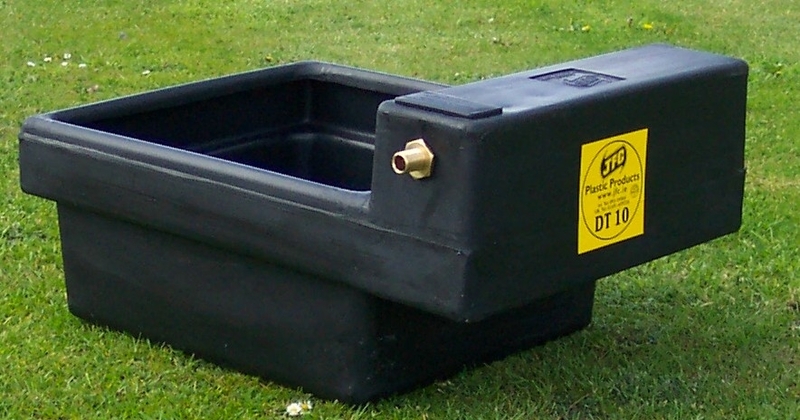 Single water trough fitted with 0.5inch H preasure ball valve. Holds up to 12 gallons. Delivery charges for this product will depend on your location, quantity ordered and may be free. Please email for details.